Just decades ago, having the opportunity to fly in an airplane was an amazing privilege that people could share with their friends and family members forever. Usually, the only people who could go on flights on an almost weekly basis were celebrities, elected officials and the extremely wealthy. Back then, the air was simply not an available form of travel for the average person. But in the space of just a few years, that changed quickly. Following World War II, the business for airline jet travel grew, and today, traveling by jet is one of the most common ways to travel anywhere. Millions of passengers take to the skies each year just to get from one place to the next, but when we think of air travel today, we think of packing into coach or second class with dozens, or sometimes hundreds, of other passengers on the same plane. Despite the evolution of air travel, the private jets still only belong to the rich and famous. Some private jets are very big, and others are small, but all are very luxurious and could pass as a home if they needed to. Overall, there are thousands of luxurious, private jets that have been built. The list that we will look at will single out the top ten more luxurious and pricey, privately owned jets that we know of; chances are, there are still some even fancier jets out there. In other words, the private jets that we will see on this list are the top ten most luxurious jets that their owners have allowed the world to see, Lets Look at the 10 Most Luxurious Private Jets In The World. Not only is the Dassault Falcon 900 very luxurious, it’s also very fast and sleek. It is capable at flying at high speeds of close to six hundred miles per hour, at extreme temperatures. What additionally makes this jet very attractive is that it uses significantly less fuel and carbon footprints than the other jets on this list, so even for a wealthy person, it is very economical to travel in. The Brazilian-made Embraer Legacy 650 is currently owned by Jackie Chan, who paid close to thirty million dollars for this jet. This jet is marked on the outside by red and golden dragons that are painted along the side, as well as a Jackie Chan logo. The Boeing Business Jet 2 looks just like an ordinary travel jet plane on the outside with no noticeable features, but that’s only until you get into the inside of one thousand square feet of lounge, comfortable furniture, a bedroom suite and rich amenities that you would think only belonged in a penthouse. It’s no surprise then, that this plane is also known as the Flying Hotel. The Gulfstream G650 is among the most popular luxury jets for celebrities and the rich alike, and they’ve become so popular that they are now sold out. So far, nearly forty of the Gulfstream G650 have been sold, and another forty are in the process of being manufactured for 2017. The manufacturers are expected to make a seven million dollar profit on each one sold. Most of them will be taken, as there is a very long waiting list. All in all, this jet can fit up to twelve passengers and fly over seven thousand miles non-stop. The Airbus A319 currently stands as the second most expensive model of jet in the Airbus fleet, coming in close to eighty-one million dollars for the standard model. A unique feature about the Airbus A319 is that the interior design of the plane is custom made by the owner, making each A319 truly unique from the other. In comparison, most other luxury jets are all the same by brand. Capable of holding up to ten passengers and traveling over seven-thousand miles on a non-stop flight, the Bombardier Global 7000 is one of the most popular private jets in the world, with almost forty of these planes sold in 2013 alone, for a profit of two billion dollars. The plane also features four living spaces, a dinner table that can seat six people, and large windows in the cabin allowing you to look out and gaze at the vast landscape below. Now that this fancy jet is sold out, it will be sometime before enough are built to put it back on the market. Boeing’s Business Jet 3 stands unique among the other jets in Boeing’s fleet, as the cabin space is extremely large. It also features a dining room, a bedroom suite, a staff room and a lounge. All in all, forty-six passengers can fit into this plane. 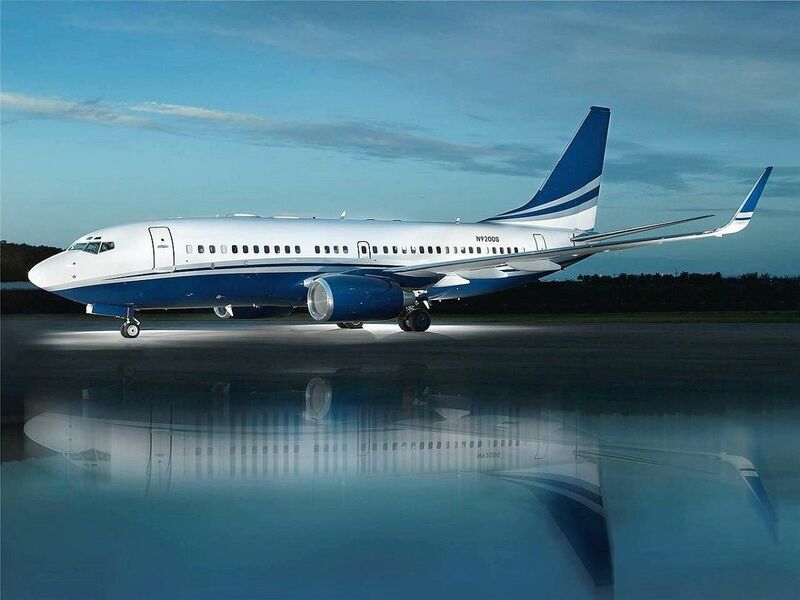 The Boeing Business Jet 3 has been on the market since 1999. 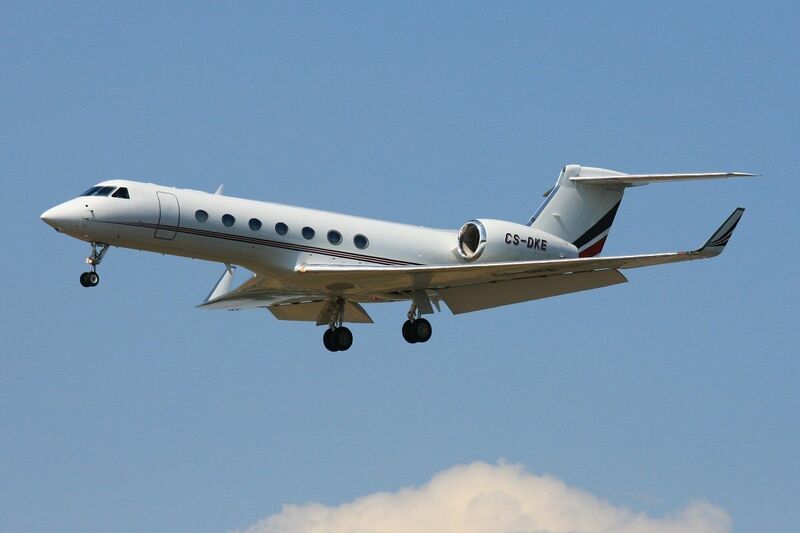 Worth over sixty-million dollars, the Gulfstream G-550 is currently owned by a British businessman named Phillip Green, and another G-550 is owned by Lakshmi Mittal, an Indian billionaire. The Gulfstream G-550 is very fast, capable of flying non-stop from South Korea to Florida in just under fifteen hours. While it was originally the fast speed of this plane that brought it to world attention, it is now utilized as a luxurious private jet, consisting of four living areas, as a twelve floor plan configuration, and seating for eighteen people. The plane is also very safe to fly, featuring an infrared camera that can display the flight path in front of the plane when visibility is low. Overall, this plane is an excellent choice for anyone who wants to fly luxuriously, as well as safely, but who can also afford the hefty price tag too, of course. Your first question may be asking why a Boeing 747 is not only included on this list, but why it landed at the number two spot. After all, a Boeing 747 is most well known as a passenger transport airliner. But there is a specific 747 that stands apart from the rest. A real estate investor named Joseph Lau paid over one hundred and fifty-million dollars for a custom made one that serves as his personal private plane. This particular 747 has more fuselage than your typical 747 and more cabin space. Lau has had this cabin space decked out with numerous amenities and luxuries, which include a few personal suites, a private office and even recreational spaces (yes, even in an airplane). You may have traveled on quite a few 747’s or similar airplanes in your life, but without a doubt, none are as nice or luxurious as this one. The Airbus A380 has served in airliner fleets for several years now, but a Saudi business investor namedPrince Alawaleed bin Talal recently paid three hundred million for a custom one, making it the most expensive plane purchase in history (recorded in the books that is). Not only is the Airbus A380 the most expensive plane ever bought, it’s also the largest. It comes equipped with two levels and lots of living space, a suite and recreational rooms. In contrast, that space in a passenger airliner Airbus A380 would be used to seat more than five hundred passengers. The last impressive feature about the A380 is that despite, being the largest and most expensive plane in the air, it’s also very economical as it minimizes the greenhouse gas emissions.